I've been really keen to see how this polish looks since it's almost black in the bottle. In the sunlight there's a definite green hue. The first coat was really streaky and even after two thick coats it still wasn't opaque (pointer finger). Never mind I want to give my Kleancolor Chunky Black Holo a whirl over this so it's all good - stay tuned! 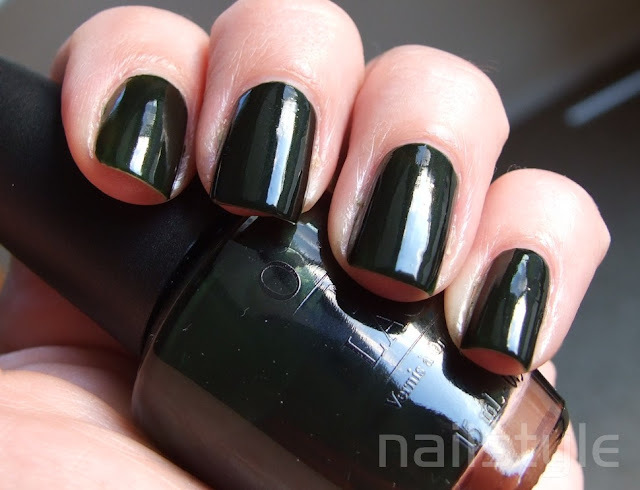 I love deep dark greens like this!! The Kleancolor polish is going to look amazing over this!